We are looking for a person with strong inter-personal and pastoral skills to provide leadership and encouragement for our journey in faith and community engagement. 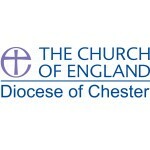 Applications should by preference be made to the Bishop of Birkenhead using the diocesan application form, by 18 June 2019. Details of the post can be found on the diocesan website here including our diocesan application form. As a Eucharistic Church, of the modern catholic tradition, Holy Communion is at the heart of our worship. We are a Christian community in which everyone is welcome, growing together in Christ through worship and fellowship. Our vision is to reach out to the local community and the recent building of the new St Mary’s Handbridge Parish Centre is an expression of our love and care for the whole community. St Mary’s Church is located in Handbridge, a pleasant suburb of Chester, on the south bank of the River Dee and close to the city centre. Is experienced in presenting the gospel to people of all ages. Is approachable, friendly and inspiring. Is good at team-working and team-building with a good understanding of managing church affairs.